Thankful | Thinking is the enemy. I am also thankful for hand turkeys. I received a newsletter today from a writer friend who has had a tough year. I’m glad I read it, though, because it made me think that my own life is not so bad. This is important for me to remember, always, because I naturally tend toward pessimism. What can I say? I’m a worrier. And when every time I look at the news and see stories about riots in Ferguson, Syrian refugees, and Ebola, it doesn’t make it any easier to be upbeat. I am thankful for my unending manuscript revisions because it means I’ve finished another draft. I am thankful for the constructive criticism from my writing group because these talented writers have taken the time to read and reflect on my creative work. I am thankful for all the bad business writing I edit every day because it means I have a good job with benefits to support my family. I am thankful for my often-grumpy teen because of all the joy and music he has brought into my life. I am thankful for all the yardwork and cleaning because I have such a nice home to live in. I am thankful for cooking dinner, even when I feel too tired to deal with it, because I know my wonderful spouse will do the dishes. While the little kid in me will always love Halloween and Christmas, I find that the older I get, the more thankful I am for Thanksgiving. I wish you a happy and safe one, Dear Reader. 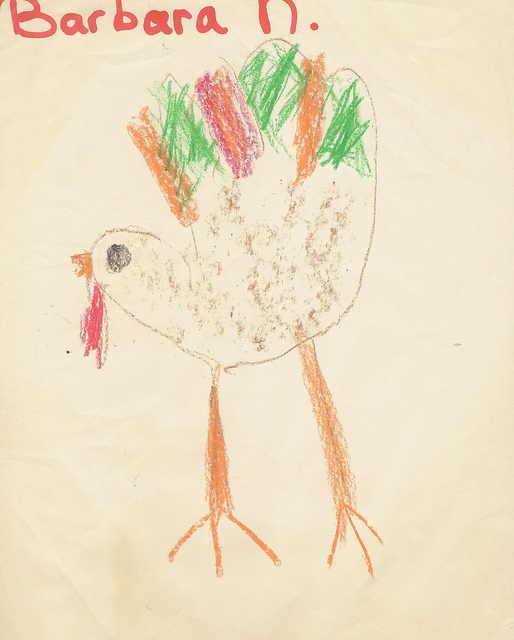 Photo credit: Conan Hand Turkey Happy Thanksgiving by bnilsen under CC BY 2.0. This entry was posted in Miscellaneous, Writing and tagged gratitude, kristen lamb, thanksgiving, writing. Bookmark the permalink. Thanks, Chris. And thank you, my friend, for always offering support and insightful comments. I wish you and your family a very Happy Thanksgiving.